Sing. Sing. Sing! 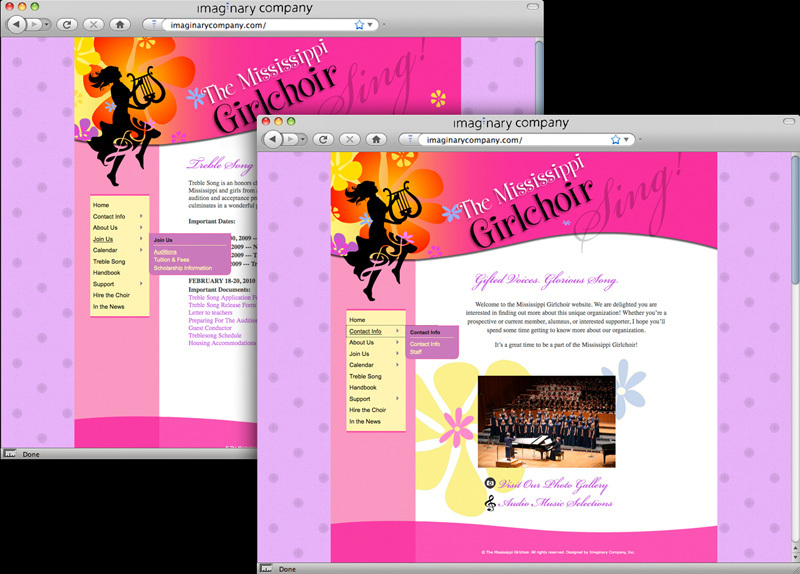 Mississippi Girlchoir needed a youthful and energetic branding package that would appeal to young girls. 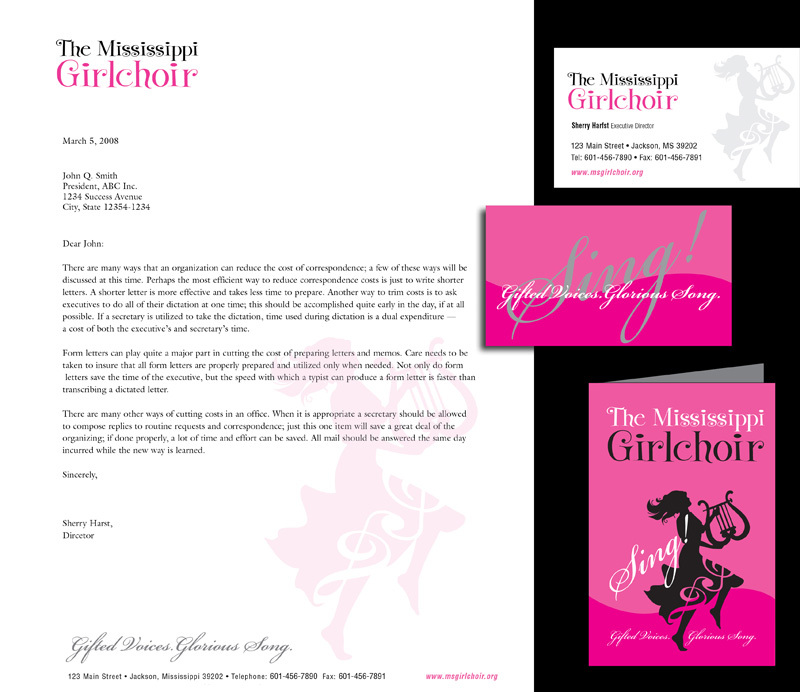 From a new logo, letterhead and business stationary, to promotional apparel and web site, we offered up a look that would appear totally awesome to the target audience.